This week, we’d like to help change the life of a 14 year old girl who is struggling with her mental health. Gemma lives with her little brother, who has cerebral palsy, and her mum, who works full-time to try to support the family. About 18 months ago, Gemma’s dad left the family home. He blamed her partly for his leaving, and she has carried that guilt ever since. Her dad had been her best friend and she struggled to come to terms with him leaving. He came back briefly, ran up almost £4000 in debt, and then abruptly left again…which broke Gemma’s heart and left them with even less money. They are struggling to cover their bills, and have had notice that some of their things are going to be repossessed. Gemma no longer has contact with her dad and her mental health has severely deteriorated. She suffers from low moods and extreme aggression. She keeps getting excluded from school and she has panic attacks every night. After one particularly bad day, Gemma was sitting on a windowledge and the police were called. They were worried she was going to commit suicide, and so she was taken to A&E for a mental health assessment. Gemma is seeing a mental health worker now, but her mum is so worried about her. In just two years, she has gone from being a happy teenage girl, who loved life, competed nationally in ballet, and enjoyed school….to a very sad and angry young girl. 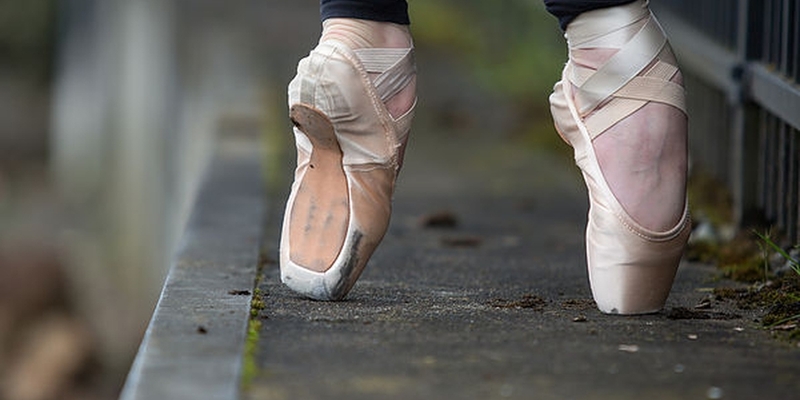 Ballet used to be Gemma’s life, but she quit last year – partly because of her mental state and partly because she knew they couldn’t afford it anymore. Gemma was nominated by her mental health worker, who told me that Gemma really misses dancing but doesn’t want to ask her mum to pay for it, as she knows they can’t afford it. At her level, she would be expected to take part in competitions and the costs of lessons and costumes is high. With your help, we would love to do something kind for Gemma. Ballet lessons might sound like a luxury, but for this young girl it will mean the world. 1. Donations towards ballet: We would love to raise funds to cover the costs of Gemma’s lessons for as long as we can. Any money we raise above what is needed for her lessons will be used to help Gemma and her family in other ways. 100% of what you give will be used to help them. To make a donation, please click the button below. 2. Messages of support: Gemma is feeling very alone at the moment, and we would love to send her some messages to let her know that she is not. To send a message, please either write your message in the form below (your contact details won't be passed along - only your message), or post it to 52 Lives (Life # 190), PO Box 3154, Reading, RG1 9AT. Thank you!